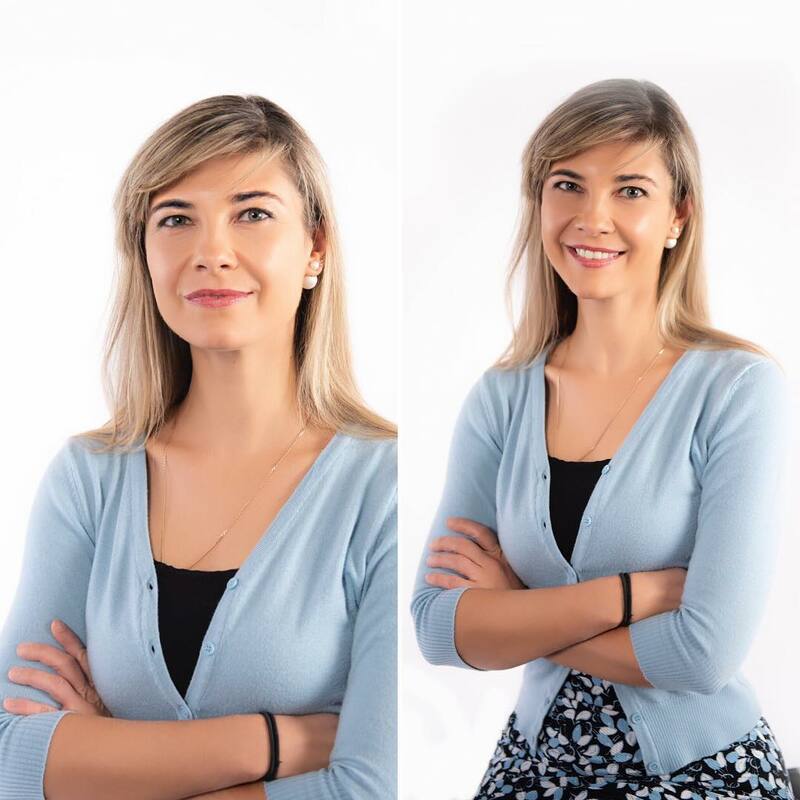 A few weeks ago, on March 1, 2019, I wrote a seemingly innocuous post on Facebook seeking my network’s opinions regarding my most recent professional photos. Specifically, I wrote: “Time to pick my new work profile pic! What looks more “professorial” - left or right?” The two photos are reproduced below. So, which photo got more votes? Well, first of all, not all the comments gave a vote, and some people liked the two equally. From the sub-sample of posts with a clear vote, interestingly, the left and the right got equal number of votes, both on FB and Insta. But there were some interesting sub-patterns. Most notably, out of the 21 votes for left (“serious”), 18 were either by Wellesley College alumnae/colleagues or by my Economist colleagues. On the other hand, my friends from outside academia/Wellesley mostly voted for right (“smiling”). Since the post “aired,” I’ve been casually asking friends, who are not typically on social media and therefore missed my original post, to describe what they thought of each of the photos separately, so as to not influence their opinions on one by the presence of the other. Left was most commonly described as confident, assertive, exuding leadership qualities, competent, smart, and bada$$. Right was most commonly described as pretty, approachable, nice, and warm. When I asked friends to consider them at the same time, similar patterns emerged with an additional observation that the right looks younger. The above descriptions might already reveal the primary reason why I picked the left one for my professional profile (despite the temptation to look "young"!) But there is more. In my own research with Katie Coffman, we show that certain attributes are associated with gender stereotypes which have repercussions for labor market outcomes. For example, we show that women are stereotyped to be warmer and less competent than men, which leads them to be held back when it comes to promotion to leadership roles. In other words, there seems to be a trade-off between likability and competency. But what about all that talk about how likability and success go hand in hand? If you think about it, you will see no contradiction. When women act against their gender stereotype of being warm and obliging, acting assertively and seriously, they tend to experience backlash. In other words, a nice warm woman is less threatening than a tough assertive woman and is therefore more likely to achieve success, even if the nice warm woman is perceived as less able. I choose left to stand in solidarity against this trend. I will end with a follow-up experiment that someone (I?) should do (has this been done before? I couldn’t find it). I would love to see the reaction to a similar comparison of two professional photos of a man – one serious and one smiling. My guess is that most people would vote for the guy’s serious picture for his professional profile. This just once again would prove that women are expected to smile, look friendly and pretty, and these “female” traits tend to be rewarded.